The architecture of ADO.net, in which connection must be opened to access the data retrieved from database is called as connected architecture. Connected architecture was built on the classes connection, command, datareader and transaction. Connection : in connected architecture also the purpose of connection is to just establish a connection to database and it self will not transfer any data. 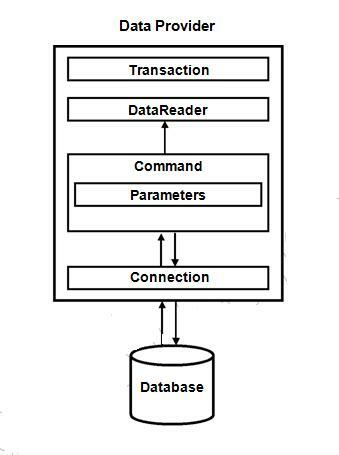 DataReader : DataReader is used to store the data retrieved by command object and make it available for .net application. Data in DataReader is read only and within the DataReader you can navigate only in forward direction and it also only one record at a time. To access one by one record from the DataReader, call Read() method of the DataReader whose return type is bool. When the next record was successfully read, the Read() method will return true and otherwise returns false.